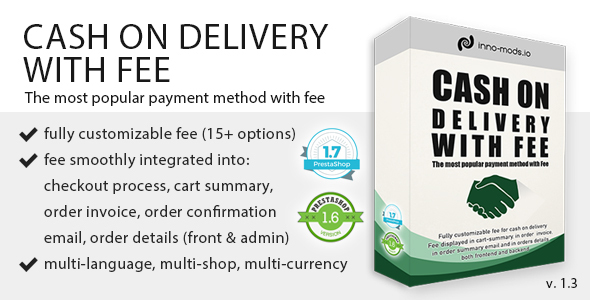 Cash on Delivery with Fee for Prestashop is a premium Prestashop module that brings the classic Cash on Delivery Payment Method to a new level! 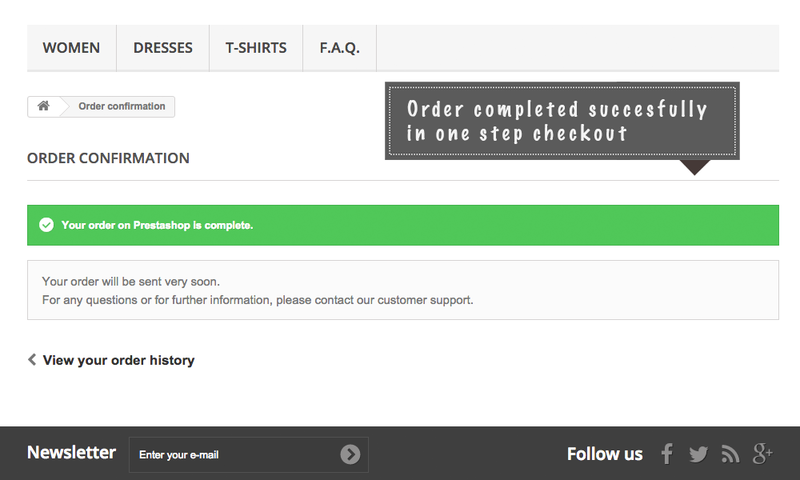 Finally, you can allow your customers to pay with cash on delivery, plus adding an extra fee for this payment method! 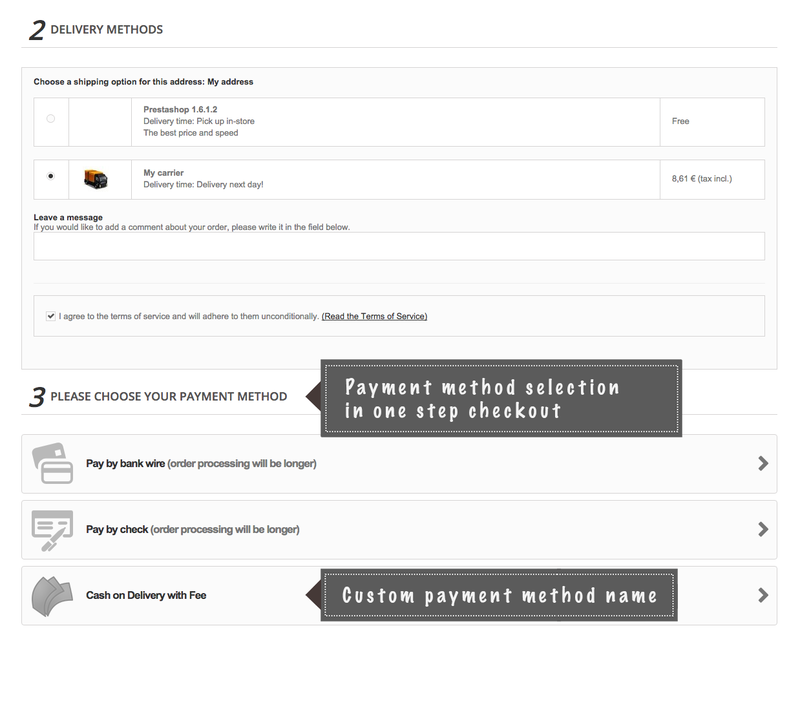 The module comes with a whole bunch of module configuration settings that allow you to create the custom fee you want. 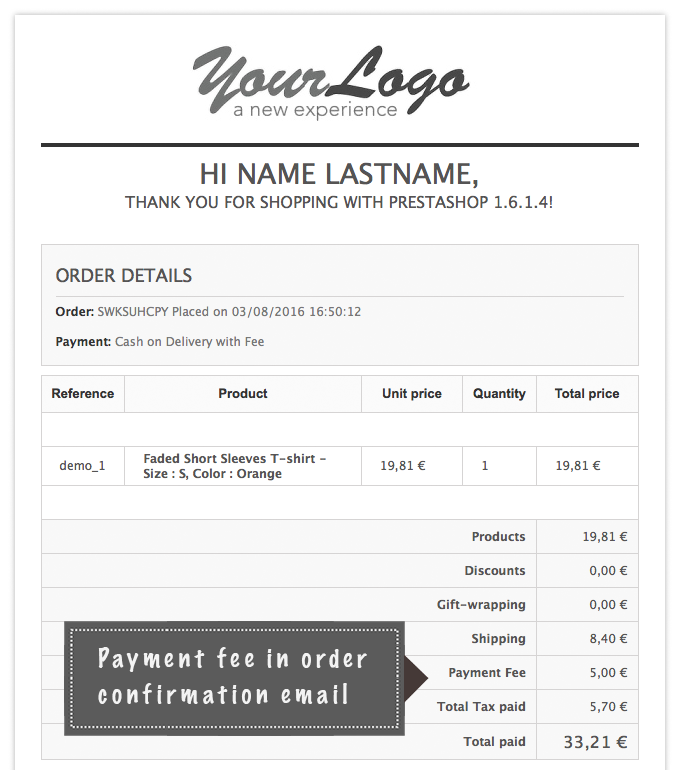 First, add a custom name and a custom description (WYSIWYG editor) to the payment method! 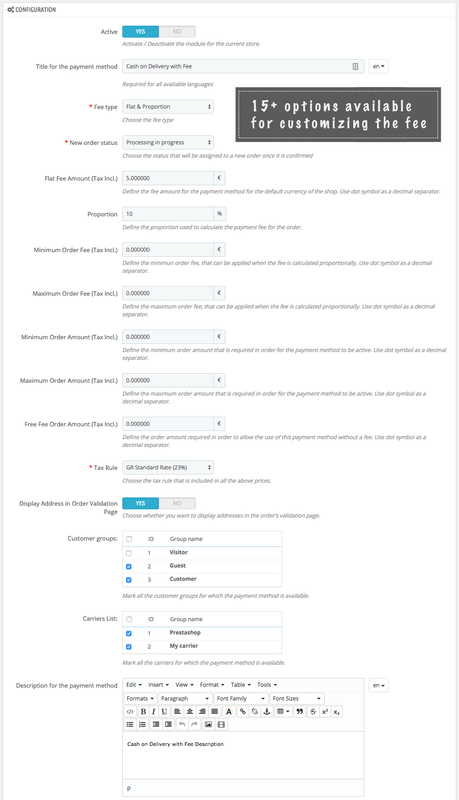 Now, choose between flat rate or proportional fee (or even both), choose minimum and maximum amount for the fee and set a free fee order amount. 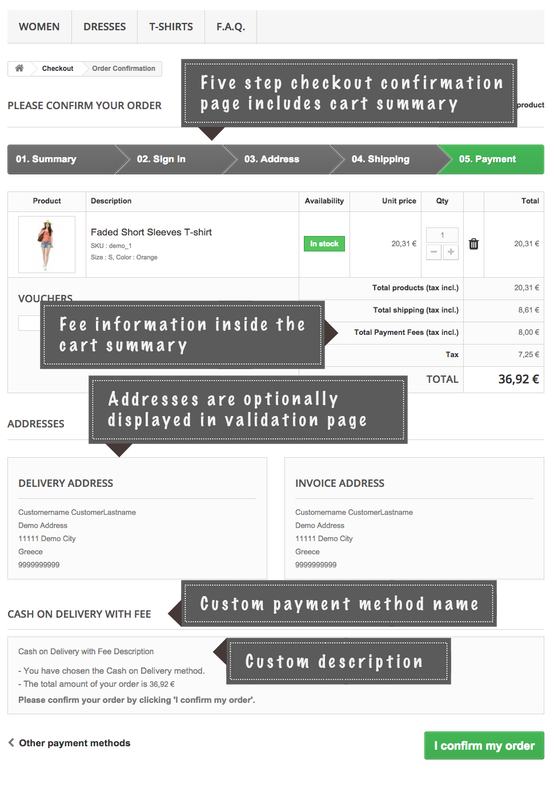 Select the carries/shipping methods for which the payment method is available, and set the minimum and maximum order’s total that allows the use of the method too! 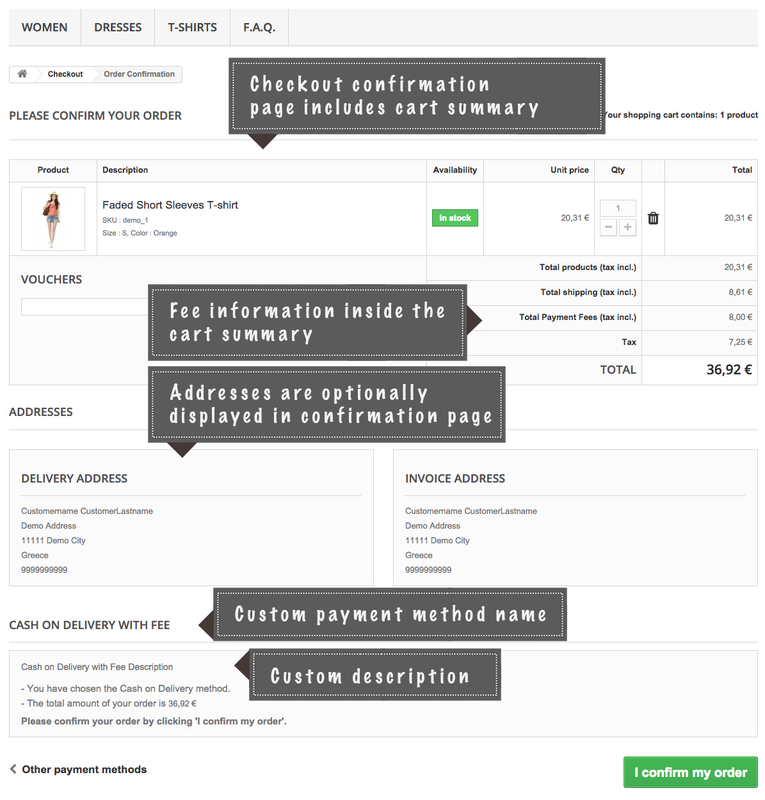 Moreover, you can associate the payment method only with some customer groups and you can set the initial status of the order. 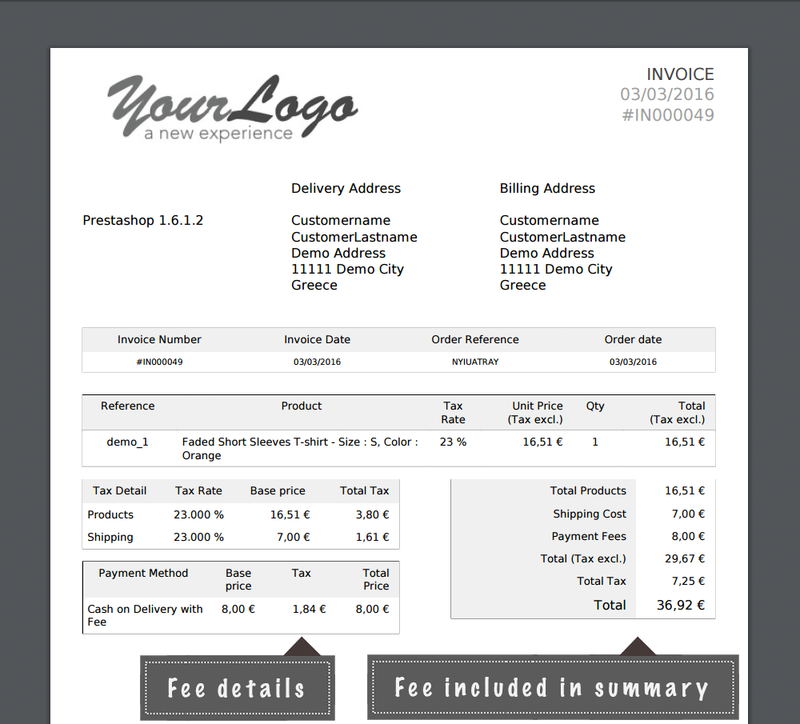 Last but not least, the module is compatible for both shop that use or don’t use taxes! 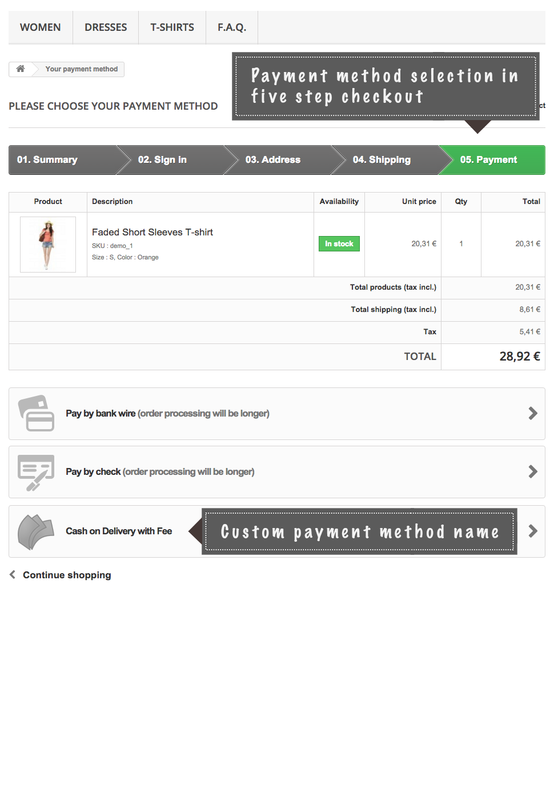 Smoothly integrated to Prestashop, Cash on Delivery with Fee, displays the payment fee in all the necessary frontend and admin places. 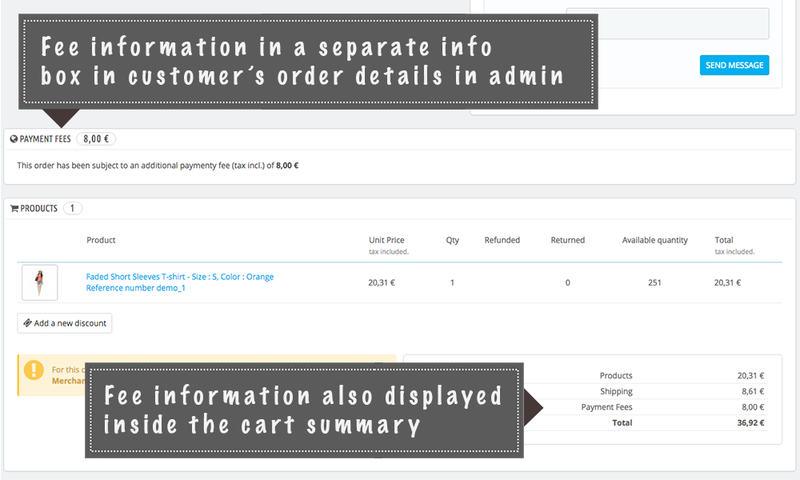 In the frontend, we obviously have the checkout process where the fee is displayed both separately and in the cart-summary table. Off course the fee is added in the order’s total. 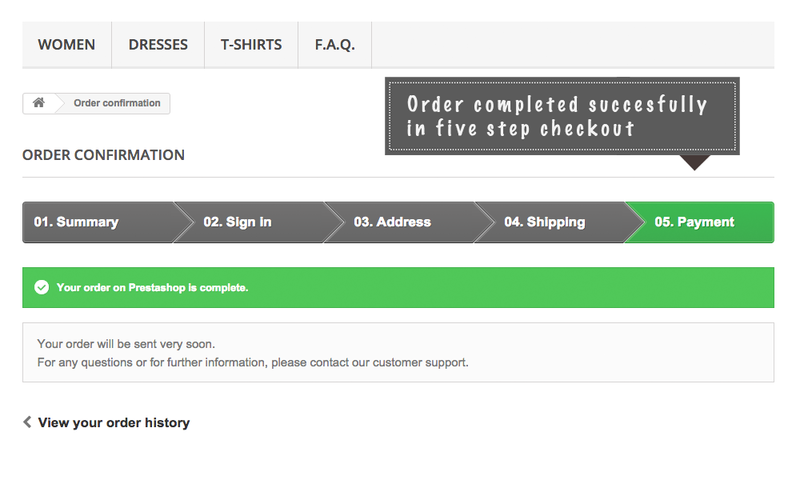 But let’s not forget the order confirmation email the customer receives, the order’s invoice and the order’s detail page in order history. 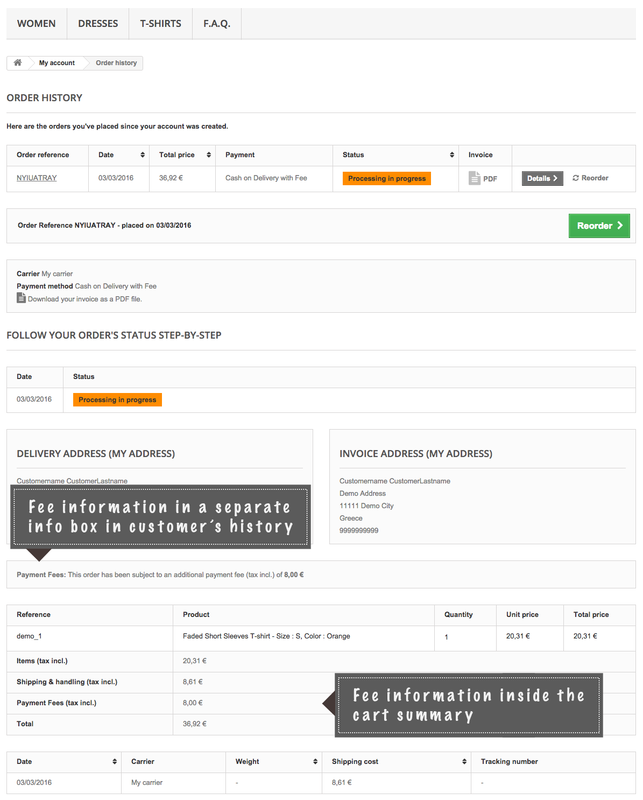 On the admin side now, the fee is displayed in customers orders details page both separately and in the order summary table. Filter for carriers/shipping methods. Select for which carriers/shipping methods to allow Cash on Delivery with Fee. Filter for customer groups. Select for which customer groups to allow Cash on Delivery with Fee. Don’t forget to check the rest of the screenshots! Click on the link just below the module’s top banner!